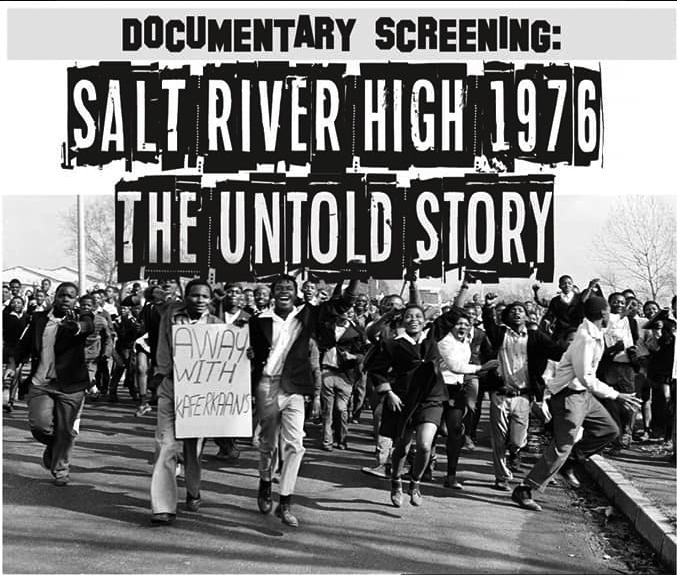 The Documentary “Salt River High – The Untold Story” depicts the events surrounding the arrest of 10 students, 2 teachers and a parent at Salt River High School during the height of apartheid in 1976. Thousands of students and anti-apartheid activists were arrested over this period and many were severely tortured and murdered whilst incarcerated, stories that might never be told. This film tries to represent all those untold stories by describing the events leading up to the arrest, their incarcerated and the resultant impact on their lives. The documentary is directed and produced by Anwar Omar. Anwar will introduce the film and do a brief presentation on the challenges he experienced making the film. If you need more information regarding the documentary please do not hesitate to contact Zintle at zintlem@cornerstone.ac.za or call 021 448 0050.